Fried rice with Peanut Butter? You heard that right. 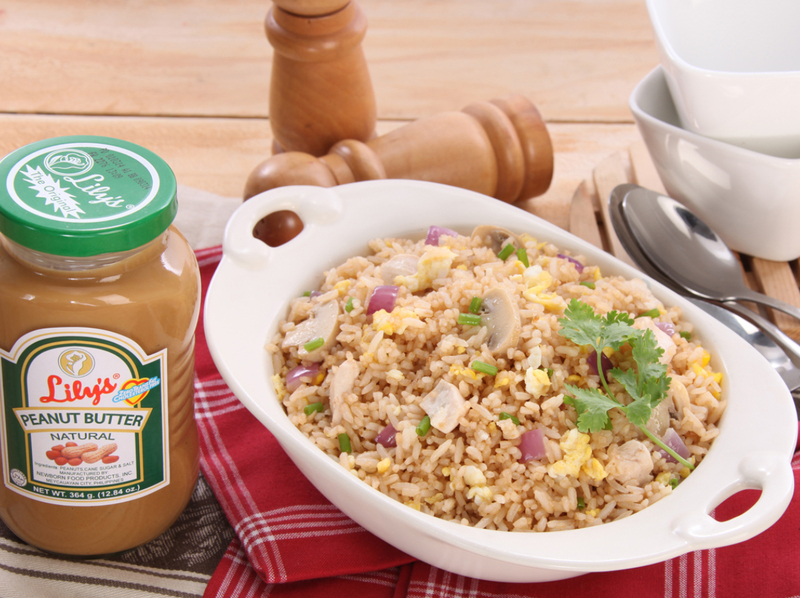 With Lily’s Peanut Butter, you’ll never make fried rice the same way again. A meal on its own, this peanut butter fried rice recipe with chicken, eggs, and mushrooms has umami written all over it. Carbohydrates, protein, potassium, and vitamin D rich, serve a healthy plate of this with Asian entrees or grilled dishes. In a pan, heat butter and oil and saute onion and garlic until onion is translucent and garlic is golden. Add in chicken pieces and saute until lightly browned on all sides. Mix in Lily's Peanut Butter, chicken broth cube, and cooked rice. Toss rice to coat. In a small bowl, lightly beat egg. Pour into the pan with rice and stir quickly to scramble with the rice. Add in mushrooms, season with salt and pepper, and stir. Transfer the rice in a serving dish and top with chopped spring onions. Serve while hot.